“The Spiritual Danger of Doing Good,” by Peter Greer is a readable cautionary tale for those involved in biblical ministry. Greer, armed with many examples of leaders who fell from grace, Greer opens with his own near miss. 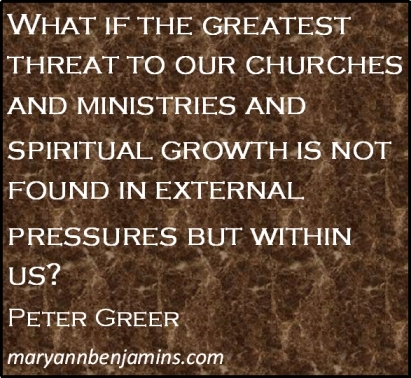 Greer says, “Ministry took precedence over everything,” right up until the day his wife sat him down and gave it to him straight, “You are choosing your ministry over me—and I feel nothing for you.” With those words ringing in his ears Greer was forced to take a personal inventory and he didn’t like what he saw. He realized that, “It’s possible to sacrificially serve God and be completely self-centred in the process.” Greer also observed that, “unless we rediscover the foundation of service, our good works can be all about us: promoting our image, heightening our own vanity and pride. Service becomes a means to achieve our dreams, our purposes, our goals. Phony activism and selfish service will eventually be exposed.” Greer cites the disturbing statistic that only one in three biblical leaders finish well. The lure of power and pride led two-thirds to fall, hurting themselves and often others in the process. All in all Greer’s book challenges us to take a good hard look at ourselves. If success begins in our family, where are our priorities? What motivates us? Do we secretly want people to notice us or is Christ front and centre? I thoroughly enjoyed this book. Greer narrowly avoided self-destruction and humbly offers his story to keep others from making the same often fatal mistakes. Between the pages of “The Spiritual Danger of Doing Good,” Greer alternately warns and challenges us to exemplify Christ. Occasionally his biblical examples seem a bit forced and I found the last few chapters a bit repetitious. 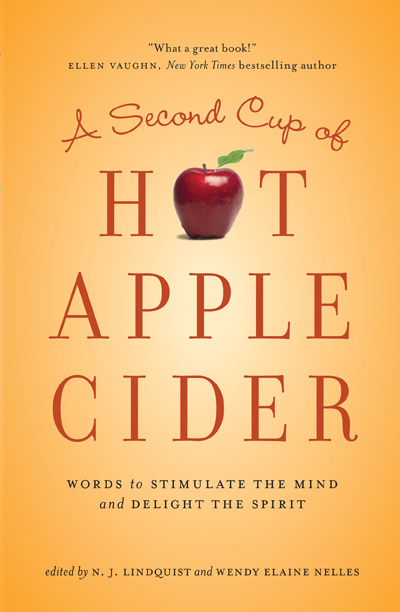 Yet, if you are in church ministry, this book is a must read. With a built-in study guide it lends itself as an excellent choice for training material for ministry and leadership groups. Amazing inspiring read! 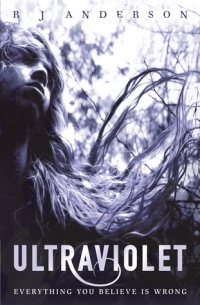 In Ultraviolet author R.J. Anderson tumbles us into the middle of every person’s worst nightmare. Alison comes to herself for the first time in weeks and realizes she’s in a mental hospital. She’s been afraid for a very long time; afraid that she is somehow different from everyone else. And not in a good way. And now she knows it’s true. My kids have been urging me to read this book for a while now so I sat down with it this morning and didn’t get up until I’d tasted every last word. Anderson’s fresh and vivid style drew me like a roller coaster and by the last dip and curve I just wanted to do it all over again. It’s in my head now and I find myself sifting through words and objects almost catching hints of colour and flavour that I’ve never seen or tasted before. Wow! I can hardly wait to read the next installment in this series. Science fiction at its best. 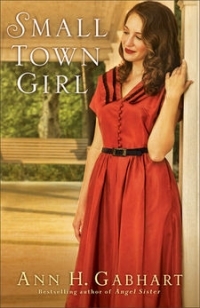 Small town Girl, tucked neatly into Rosey Corners is a lovely surprise. Though I promised to review it, American historicals, especially those set in war time, are not really my forte. Still, intrigued by the jacket, I picked it up and immersed myself in Kate and Jay’s story. Though the story unwinds at a bit of a slow pace, by the time I hit the middle I just couldn’t put it down. This book had me reading until far too late in the night! It brought laughter and misty tears and by the end I was ready to cheer. I’m hoping Gabhart has a few more stories in her because all I know is I want to visit Rosey Corners again! Bravo. In the autumn of 1941, rumors of war whisper through Rosey Corner. The town practically vibrates with apprehension, as if it is holding its breath. But for Kate Merritt, it seems life is letting out a prolonged sigh. As Kate watches her sister marry the man Kate has loved since she was fifteen, her heart is silently breaking. And even the attentions of Jay Tanner, the handsome best man, can’t draw her interest. In her gentle and textured style, Ann H. Gabhart tells a timeless story of love, sacrifice, and longing that will grip your heart and stir your spirit. 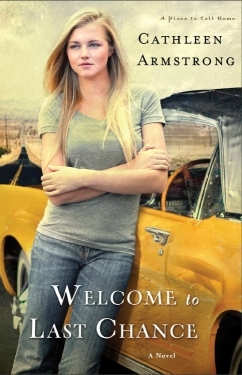 Fans of Gabhart’s Angel Sister will love seeing Kate Merritt all grown-up, as well as other characters they have come to love. If you like ultra-light historical romance then you’ll probably enjoy this quirky sweet story set in 19th century America. 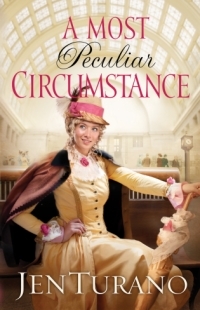 In A Most Peculiar Circumstance by Jen Turano, Miss Arabella Beckett, heavily involved in the women’s suffrage movement and constantly getting into scrapes, squares off with private investigator and family friend, Mr. Theodore Wilder. Wilder, her would-be saviour, is sent to track her down after she fails to turn up after attending one of her many rallies. 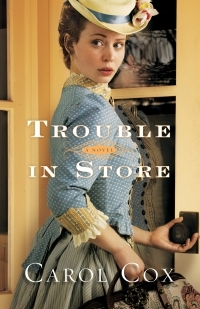 Author Jen Turano doesn’t appear hung up on striving for historical accuracy: A wealthy daughter scampering across the country sans travelling companion is just one of the many characters for whom you must suspend disbelief. Instead, Turano writes a spunky, funny story lightly sprinkled with faith and intrigue. It’s definitely not a period piece, yet Turano gives her readers lots of laughter and witty dialogue. It’s a little too candy flavoured for my tastes, but perhaps a perfect companion for a relaxing afternoon on the beach. 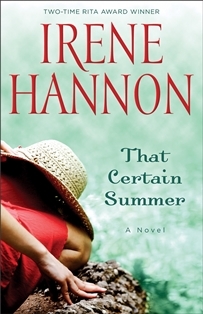 That Certain Summer – Great Summer Read! Loved the book. This is may not be a book of suspense, but if you haven’t read it you’re missing out. Hannon hits it out of the park with this contemporary romance. Two sisters at odds come together to care for their aging mother. 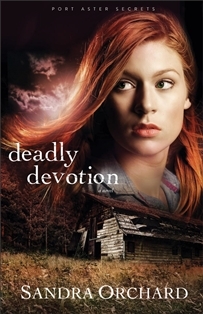 Deftly handling struggling faith and messy relationships Hannon reveals that both sisters have secrets and both are surprised when love sneaks past their defenses. I have to say that I enjoyed this more than Hannon’s latest mysteries. She graces the pages with a story of lies, loss and love and I couldn’t put it down. makes this book a great summer read. Karen and Val are family—yet they’re anything but close. Karen has carried the burden of responsibility for her aging mother ever since her gorgeous sister left town years ago to pursue a career in theater. But Val had darker reasons for leaving town—as well as a secret to keep—and coming home has never been an option . . . until their mother suffers a stroke. Once reunited in their hometown, Karen and Val must grapple with their past mistakes, their relationship with each other, and their issues with a mother who is far from ideal. When a physical therapist raising his daughter alone and a handsome but hurting musician enter the picture, the summer takes on a whole new dimension. As their lives intersect and entwine, can each learn how to forgive, how to let go, and how to move on? And during this summer of grace, might they also find the courage to love?